An all-round athlete, Adrian Ong represented ACS as a swimmer and the American Club in bowling. 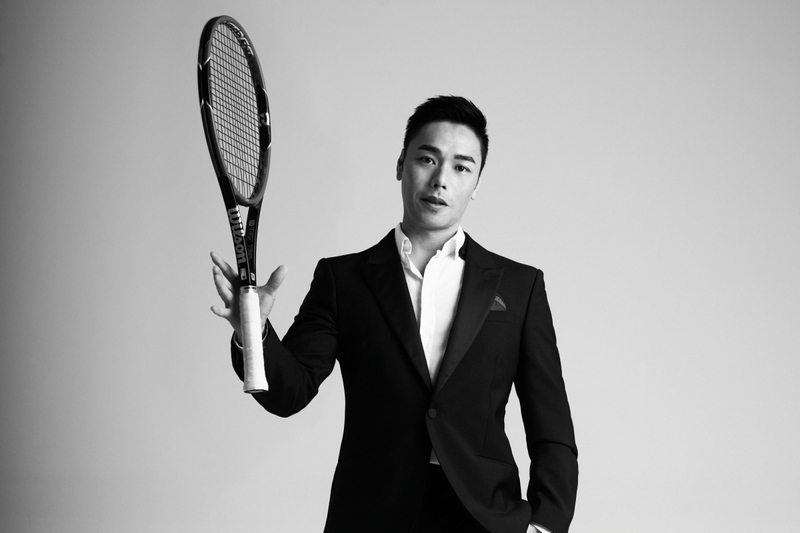 He golfed for a fair bit but gave it up after marriage as “it just took too much of my time and weekends away from my family.” Tennis, though, is a sport he has increasingly pursued more seriously, as he’s able to squeeze in a game in the evenings after work. Tell us about your exercise regime. Tennis is not the only form of sport or exercise that I do. I take it as a recreational sport and have not taken it to a competitive level. I enjoy the interaction with my buddies during the game and also get my weekly dosage of cardio from the sport. Besides tennis, I actually train at Ground Zero at least twice a week. I participate in Rumble classes (Boxing and HIIT training) and occasional spin classes during lunchtime. To maintain my physique, I try to hit the gym maybe once or twice a week. Any anecdote you can share from the tennis court? I once smashed my racket right in front of my coach, after losing five sets in a row. I was embarrassed by my behaviour after that, but we ended up laughing it off! Any other sporting memories to share? Tennis was something I regretted not picking up when I was younger, as I was too involved in competitive swimming to have time for any other sport. I used to cycle as well. I was into road biking and mountain biking. So on my 38th birthday that I bought myself a full carbon mountain bike. It gave me a sense of false confidence and when I attempted a huge jump, I fell and fractured my hand! I rode on it only twice and never did again. Till today, the bike is still on display at my garage. Not having my kids earlier so that I can interact more with them as they grow up, and not seem so old. I would be Roger Federer. I think it is so amazing that someone can enjoy and excel in a sport that he loves so much, and on top of that make a great living out of it and inspire so many people. Being a Formula 1 driver… maybe ….just maybe. I am actually very shy, reserved and conservative. Top three on your bucket list? Playing Golf at Pebble Beach. Driving around the Nürburgring Formula 1 Track. Having a round of tennis with Roger Federer.